It isn't just your imagination: Sightings of spiders are on the rise in Metro Vancouver this fall, according to one pest controller. It isn't just your imagination: sightings of spiders are on the rise in Metro Vancouver this fall, and, according to one pest controller, they're bigger than ever. "People panic … we get the phone call after someone has walked through a spider web," said Bilesky. "They are sure it's still in their hair, especially if it is one of the big hobo spiders." Spider season is usually over by the end of September. But the long, warm summer has these uninvited guests overstaying a barely-there welcome, says Bilesky — and getting bigger in the process, he adds. "Spiders are huge right now, larger than I've ever seen before," said Bilesky, who partly attributes their growth to climate change. "The spiders get a jump on summer by having a warmer spring and in fall the weather stays warmer longer, so they grow larger because there are more insects out there." The giant house spider and its relative the hobo spider are common throughout southern B.C. They are typically brown with a chevron pattern on their abdomen with a leg span that might seem, to some, like it's a metre wide — but is actually closer to eight centimetres. 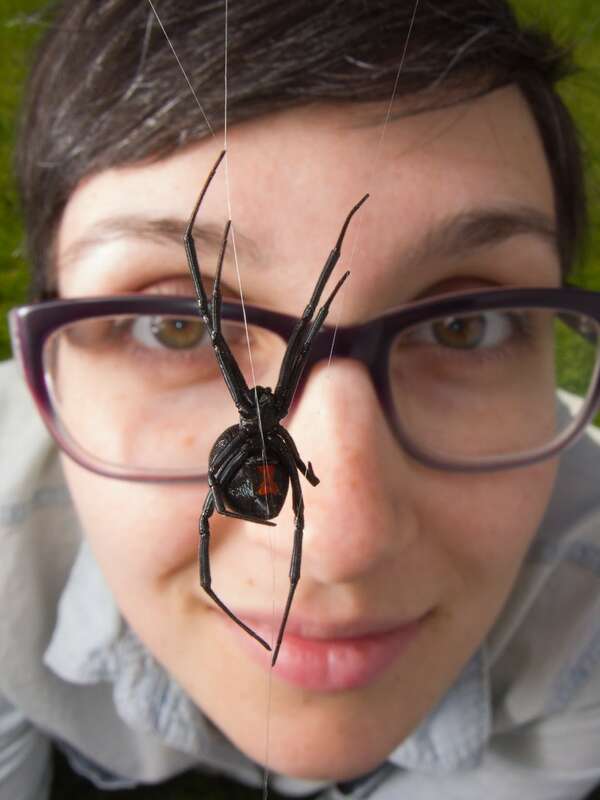 "They are quite hairy and they are really, really fast," says arachnologist Catherine Scott. "You can actually hear their little feet running across the room." People typically see the creepy crawlers in their homes in the fall because the males have left their web and are out searching for mates. The likelihood one is within a few feet of you right now is high. But Scott says fear not — these spiders are completely harmless, and are actually good for your home because they eat other pesky insects like mosquitoes and flies. "Spiders don't come into your bed at night and bite you, that's not a thing they do," she said. Despite any anecdotes saying spiders are bigger, Scott said they're just that — anecdotes. "There's no evidence that spiders are any larger than usual this year and there's no evidence that spiders are any more abundant this year," she said. "A person might see more spiders. That doesn't mean that, on average, spider populations are increasing. It's not a fact that spiders are getting bigger." But Bilesky, an exterminator with Go Green Pest Control, is seeing plenty of fear right now. His company has had 39 calls so far this season, compared with 26 last year. And while his first step is to caution his clients on prevention — like filling cracks in ceilings and baseboards, and keeping doors and windows closed — all he hears from the front steps of his petrified clients' homes is fear. "I usually get the blank look [that says], 'I prefer something that's going to kill them now. Or yesterday.'" For the less squeamish, Scott advocates relocating the arachnids with what she calls the cup-and-card technique, where you put a glass over the spider, then slip a paper underneath it and deliver it back into the wild. We'll soon see fewer creepy-crawlies trying to scare the daylights out of us, as the first frost spells the end of another spider season. 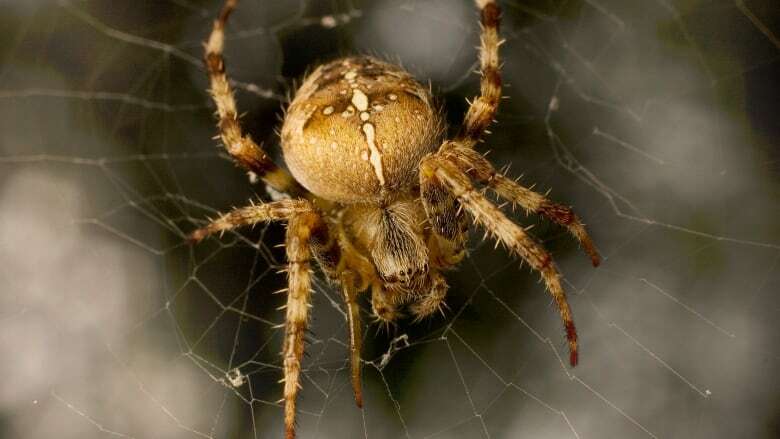 CBC meteorologist and scaredy-cat Johanna Wagstaffe said she's too terrified to discuss spiders, but predicts their reign will end when that first frost arrives in early November. An earlier version of this story insinuated a purported change in spiders' size was factual, rather than anecdotal. It also stated house and hobo spiders were common across B.C. Hobo spiders are only found in the southern portion of the province.